(U//DSEN/LES) The increasing demand for opioids in the United States coupled with the availability of fentanyl presents a significant public health risk and negatively impacts officer safety. In 2018, the Arizona High Intensity Drug Trafficking Area (HIDTA) Counter Narcotics Alliance (CNA) task force seized tablets that appeared to be Xanax® but actually contained a combination of cyclopropylfentanyl, methamphetamine, and a synthetic cannabinoid chemical. (U//LES) This is the first seizure reported to the Arizona HIDTA of fake Xanax® tablets containing a cyclopropylfentanyl/methamphetamine combination, as well as being the first reported seizure containing a synthetic cannabinoid. (U//LES) An investigation conducted by the Arizona HIDTA CNA task force resulted in the seizure of two plastic bags containing 76 rectangular white tablets imprinted with “XANAX” on one side and the number “2” on the reverse side. 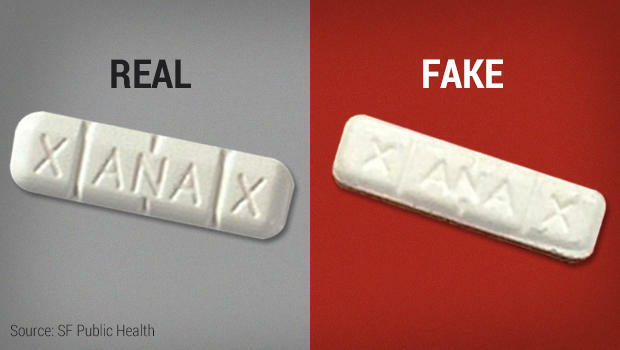 The tablet imprints and color were consistent with pharmaceutically manufactured 2 milligram Xanax® tablets. Upon closer examination, the tablets varied in thickness and from white to off-white in color. In addition, some of the tablets had an inverted “2” imprinted on the reverse side.